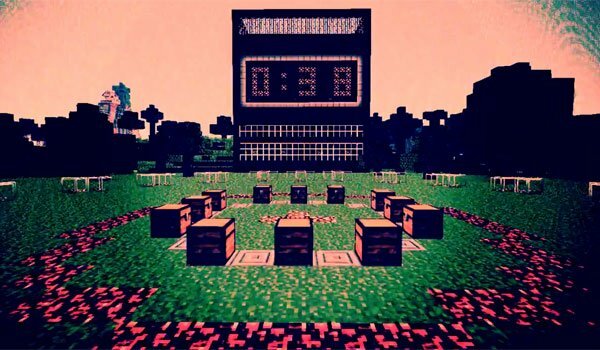 We bring an arena to play the Hunger games in your Minecraft. Hunger Games Map 1.5.1 is a map that lets you enjoy the battles of the Hunger Games with up to 24 players in each round. The map also features a countdown timer that will keep the doors open until the countdown begins. As usual in this style of game, find chests scattered around the map, with content already prepared, but caution as some of these chests may be booby trapped. All contained within a glass dome with a radius of about 250 blocks. How to install Hunger Games Map for Minecraft 1.5.1?